Don't let our name fool you! In addition to being a great way to sell real estate, Help-U-Sell is also the smartest way to buy. We can help you buy any property on the market. Help-U-Sell puts you in the driver's seat, giving you tools to search for properties on your own and leaving the choice of when to involve one of our licensed real estate professionals up to you. Search and Preview all the homes in DC and the surrounding Maryland and Virginia suburbs. Our own listings include addresses, photos, pertinent information, and even virtual tours. We'll even send you an email when a home matching your dream house comes on the market. 1. Consult with a Help-U-Sell Broker. 3. Develop a list of needs and wants with your Help-U-Sell Broker and then begin your home selection process. 4. 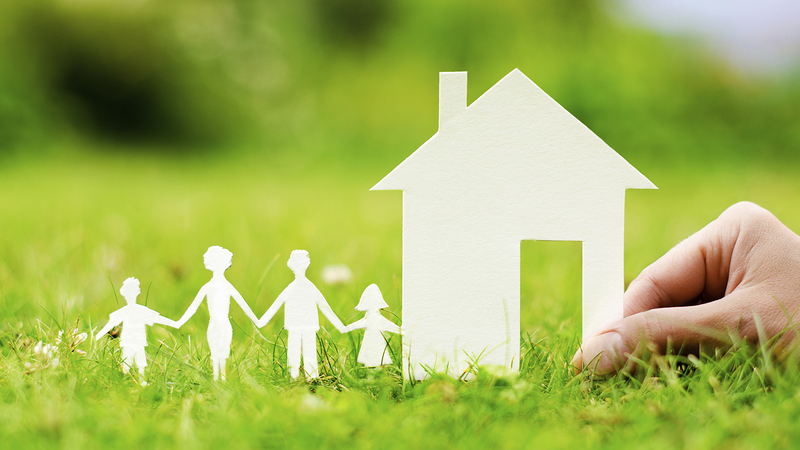 Choose a home, then let your Help-U-Sell Broker begin the negotiation process on your behalf. 5. Great news! Your offer has been accepted! Your Help-U-Sell Broker will track the progress of your loan and make sure all contract details and/or contingencies are met on time. 6. Your Help-U-Sell Broker will attend any inspections with you and discuss results. 7. The Help-U-Sell Broker will call with the time and place of your closing. You will also receive information regarding any money due at signing. The Help-U-Sell Broker will be at your closing to assist with any last minute concerns. The tax assessor will see a very different picture. The assessor wants to create value equality among the town or city's citizens in order to fairly assess taxes and share the tax burden in an equitable manner amongst all property owners. Towns periodically undertake re-evaluations to update their assessed market valuations for all property. While based on historical sales data, it does not always represent current market data. It is a useful tool in comparing the values of similar properties. Appraisers must protect the interest of the lender and therefore must be more conservative in the value they place on a property. The appraised value is more typically based upon historical sales data and may or may not agree with market value. Market value is what a ready, willing, and able buyer pays to a ready, willing and able seller in a transaction with no undue influences. It is a negotiated value which changes relative to market conditions, supply of homes, demand, and seasonality in some cases. Market value is created by the buyer and seller. Too often, buyers and sellers have a notion some other factor determines market value when in reality, those two parties determine market value. Home inspections are highly recommended by Help-U-Sell for all property purchases, including recently built and new homes. A qualified home inspection company should be contracted by the Buyer to protect the Buyer's best interests. It is most important for Buyers to attend the home inspection to learn first-hand from the home inspector. A common Buyer misconception regarding home inspections is the Seller's requirement to repair all noted items in an inspection report. This is strictly optional by a Seller and generally considered to be a negotiable item between Buyers and Sellers. Each Buyer should discuss the offer and negotiation process with their Help-U-Sell Broker during the initial counseling process and before any offer is presented. This will ensure that the Buyer understands the process, the possibility of competing offers, and what the Seller's options are. All decisions about how offers will be presented, negotiated and ultimately accepted, are made by the Buyer and/or Seller, NOT the Help-U-Sell Broker. The Help-U-Sell Broker will communicate the offer, advise and keep their respective client informed of all activities. They will NOT make the decisions. The Buyer makes the decisions. All offers and counteroffers should be in writing to ensure that the terms, time frames and legal obligations of the parties are clearly understood and communicated without misunderstanding, withdrawals, counteroffers and/or any changes to offers should be done in writing, signed and dated. The terms of all offers, counteroffers, withdrawals, and terminations may not be disclosed by the Help-U-Sell Broker without the prior consent of both the Buyer and Seller. At the appropriate time, your Help-U-Sell will present your offer to the Seller on your behalf. At Help-U-Sell, we feel that simply handing a copy of the Agreement of Sale to the Seller or Seller's Agent and letting them sort it out themselves is not enough. 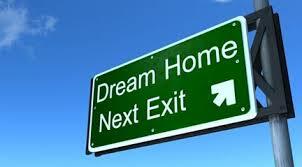 You, the Buyer, are a real person with real dreams of home ownership. Personalizing your offer helps the Seller to realize this, and they may be more inclined to give a less-than-full-price offer additional consideration, even in a multiple offer situation. In addition to the offer, the Help-U-Sell Broker will typically provide the Seller or Seller's Agent with a quick profile of who you are, where you work, and a brief list of features that attracted you to the property. They will also provide a letter of pre-approval from your mortgage lender that tells the Seller that you have taken the time to get your finances in order and are therefore a good risk for the offer being presented. And, in some cases, the Help-U-Sell Broker may provide a personal letter, written by you, which tells the Sellers in your own words why you chose their property for your new home. Remember the possibility of other competing offers, when you formulate an offer or counteroffer. The Broker and/or the Buyer may not have actual knowledge about the existence of competing offers. Therefore, the initial offer may be the only opportunity to buy. It is important to recognize there is no requirement that the Buyer is informed by the Seller or Seller's agent of the existence of other offers before another offer is accepted.